Trees are an essential part of making our homes beautiful. They provide shade and protection from the summer sun, while providing a place for wildlife and birds to live. However, there are times when a tree has grown too large or starts dying and needs to be removed. Storms and winds can also bring down trees and limbs that need clearing away from structures and electrical wires. The fall and winter months are often great times to remove unwanted trees and vegetation from your property. 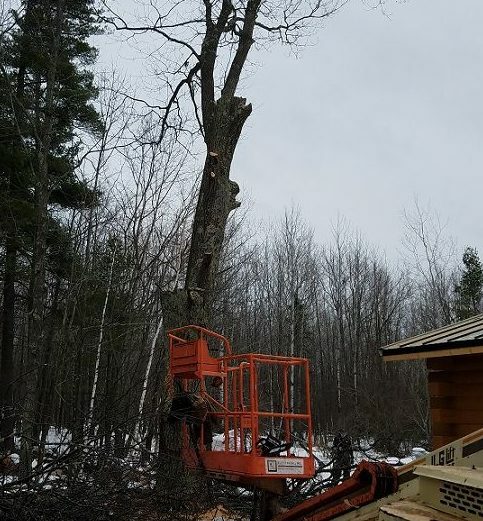 The ground is generally hard or frozen, which allows our heavy equipment to maneuver easily for tree cutting. 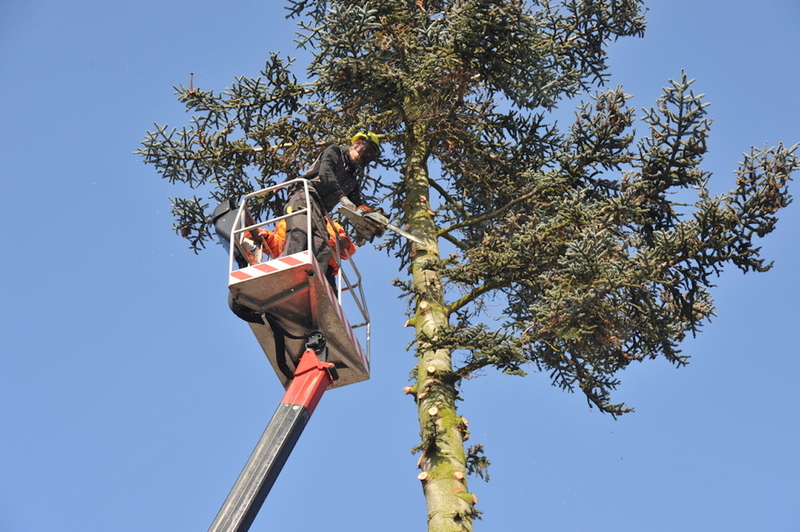 We’ll make an assessment of the best approach for your tree trimming and removal plan, and arrange a day for completion. 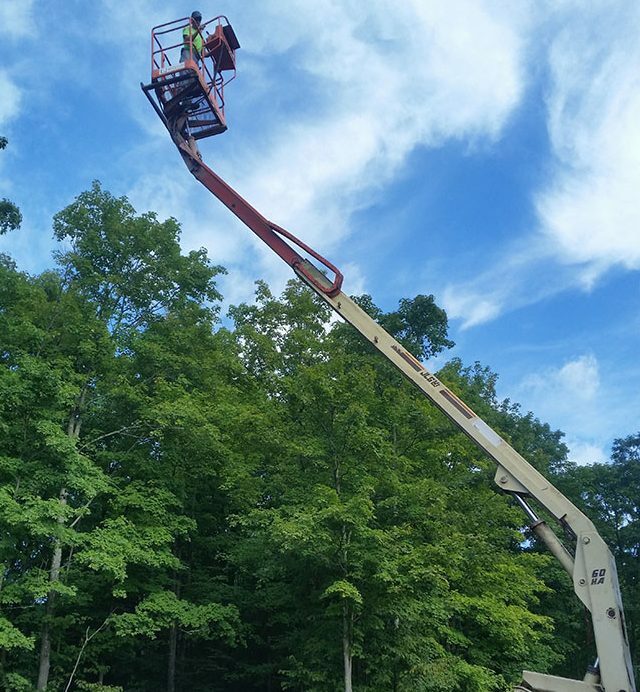 Our oversized 60-foot boom lift allows our team to make safe, quick work of even the tallest trees. Why Wait for a Power Outage? While electric utilities are responsible for repairing and maintaining transmission lines by the road, the wires connecting the house to the pole or transformer box is the responsibility of the homeowner. If your trees have branches that overhang your domestic service wires, you may be in for a long wait for repairs—especially in an emergency. 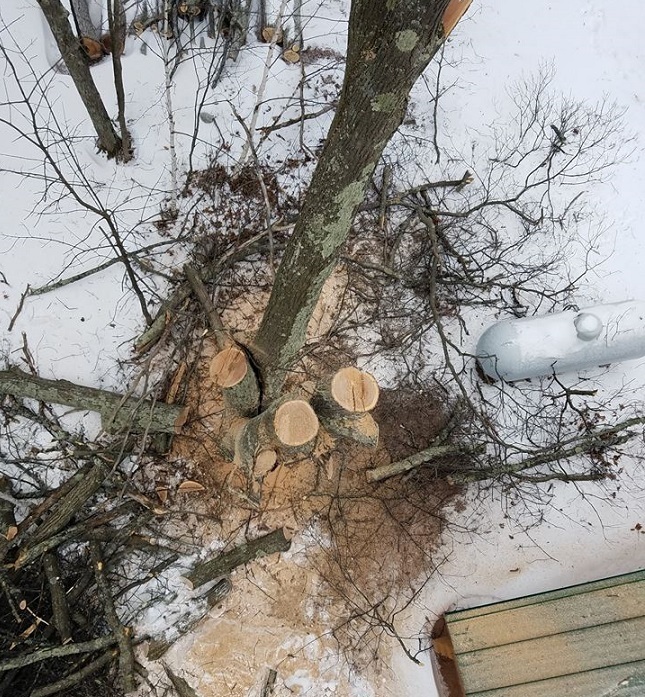 If it looks like your trees are tempting fate, we can trim limbs or remove entire trees to keep your utilities connected to your home in the greater Ashland, WI area. Old stumps that remain from previous tree removal can be unsightly! Homeowners who are tired of mowing around the stumps in the yard rely on KV Tech Construction to grind out the stump and remove the wood debris to revert back to flat ground. If you’ve been putting this off, give us a call and we can remove that unsightly stump in no time! Don’t wait for a tree to damage your home! Call (715) 765-4483 or contact us for a tree removal appointment.